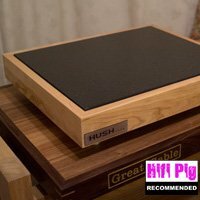 Audio Suspension is a new company based in Hove in the south of England and they make just one product at the moment, the ASU-100 equipment shelf. 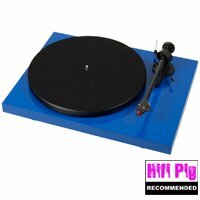 Now, I’ve always been happy with my turntable on a floor mounted plinth (Ikea table) despite having quite a bouncy floor, but a recent visit by a Hungarian exchange student (a Black Sabbath aficionado) and his somewhat less than delicate stomping across the listening room and the subsequent bouncing of the stylus all over the record that was playing had me reconsidering this state of affairs – It wasn’t really his fault I don’t suppose; he’d not had the benefit of a lifetime of being bellowed at like my two children and long suffering wife have at the merest sign of heavy-footedness in the listening room. 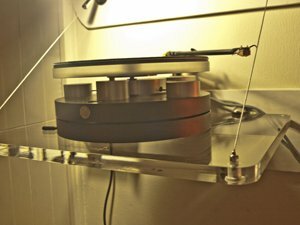 The ASU-100 is composed of a heavy 20mm clear acrylic shelf, 2 polished chrome shelf supports with silicone rubber at wall/support interface and 1.5mm steel wire cables secured by pos-i-lock supports which attach to the wall above the shelf and give the company its name; It does look like a suspension bridge and will support equipment up to 25kg dependent on the fixings you use. Now, I’m no DIYist by any stretch of the imagination! When I lived in the UK I was asked to put up a floating glass shelf to display a piece of pottery that we had, but needless to say the shelf was never level and the wall behind it had many more drill holes than there really should have been. Since then I have not been allowed to take drill to wall and this time was no exception, despite the ASU-100 coming with a simple to use template that shows you exactly where you should be drilling your holes, what look like easy to follow instructions and all the screws and plugs you will need. I think I’d have been ok, but my actions in this field are now closely monitored! The instructions that come with the shelf suggest “Getting a cup of tea, some biscuits and a friend to help…” – I wasn’t allowed to leave anything to chance and so got a builder in to do the job – costly, but better than the carnage (not to mention shouting) that would have ensued had I been left to my own devices! We live in an old house that is built from granite and the stones that make it up are somewhat irregular so I was told by my builder that the shelf would need to be placed on a flat surface and so a whole rethink and rearrangement of the Hi-fi was needed. He also had to construct an additional wooden fixing (see photo) as he deemed the wall to be “unlikely to support it on its own” (the joys of French building standards!) To be fair he had the shelf up and running in a couple of hours and it’s actually a tad more convenient where it is now. 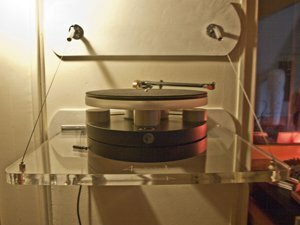 Better still, it was perfectly level as confirmed by the handy little round spirit level that Audio Suspension include with the shelf and at a height that does away with kneeling down to put a record on – a bit of a boon as I slide into my later years. The shelf can be wholly supported by the main wall mounts and the steel wires are tensioned to ensure it is absolutely level. ‘She Who Must Be Obeyed’ is a happy bunny! The shelf is very contemporary looking and this juxtaposes nicely with the less than modern surroundings it now finds itself in. Comments by visitors have been universally positive about the shelf and its appearance. I had been looking at a more traditional turntable shelf of which I’m sure you’ll be familiar – the black, tubular steel affairs – but I had already been told one of these would not be allowed over the threshold. As you can see from the pictures there are steel wires either side of the shelf that you really would think would get in the way when cueing a record, but I have to report that my fears were unfounded using my Wilson Benesch Circle turntable. Access is easy and the wires certainly don’t hinder use in any way. Around the back there is a small cut-out to the shelf to allow for mains cables and the like to be easily run to the turntable – this is to the left of the shelf but ideally it would have been to the right for my set up and to my mind a central cut-out would have been more sensible…or perhaps a cut-out at both left and right. Ok, this is a shelf and I’m not going to suggest that it plays any part in influencing the sound the turntable produces in itself, but what I can say is that the shelf is stable, it offers perfect isolation from footfall and the silicone backing to the wall mounts help damp it. 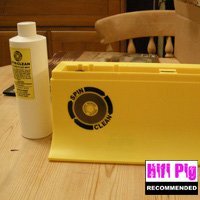 It doesn’t ring in any way (a problem attributed by some to supports with glass shelves), doesn’t seem to be affected by airborne resonances and can be said to be neutral – surely what you are looking for in a shelf on which to place a turntable or other vibration sensitive bit of kit! Obviously tapping on the shelf is going to have an effect, but who is going to do this in a real world situation. On New Years Eve we had friends round for drinks and nibbles, but as the evening progressed and the New Year dawned there was dancing! I dance like I DIY – badly – but at no time did the turntable miss a beat or jump or skip despite there being several equally inept dancers leaping around the listening room. 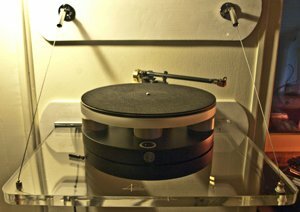 In conclusion the Audio Suspension ASU-100 fulfils its role perfectly: It isolates the turntable from footfall and airborne resonances, it looks great, is easy to put up (apparently) and to be honest my only criticism is the positioning of the cut-outs for cables. You can order the shelf in custom sizes and custom colours too should you wish but for my needs the supplied model is pretty much ideal. 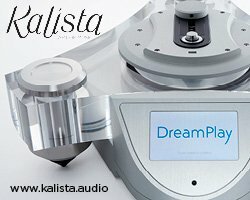 Had I the room (or if there were a two shelf model) I’d have loved to have the CD player mounted on one of these! Hi Stuart, thanks for the great review. 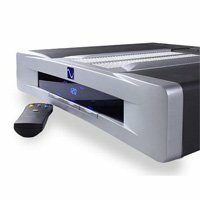 Just to address your comment about the cable cut-outs, we have decided after listening to yours and a number of comments to put the cable cut outs on both sides of the back of the shelf so as to eleviate this problem. Also we are working on the ASU-100 being the first part of a complete 4 shelf, modular wall mount system.